In stock -This product will ship today if ordered within the next 15 hours and 19 minutes. 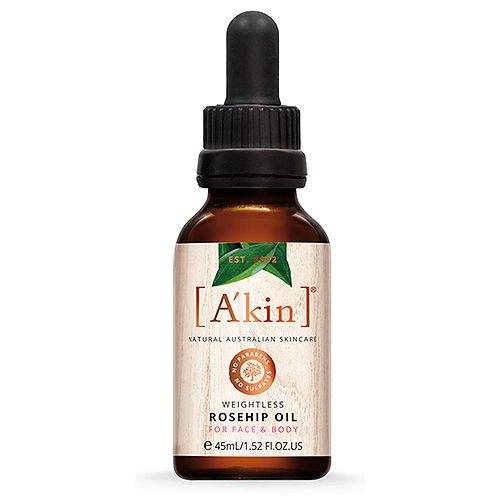 Rehydrate skin with this Non greasy, lightweight and fast absorbing oil from A kin. 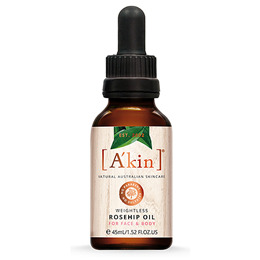 Rosehip Oil revitalises and restores moisture for optimal skin health. Sandalwood oil helps diminish the appearance of skin imperfections and cellulite. Abyssinian and macadamia oils absorb quickly to lock in moisture for a silky, soft skin feel. + Certified Organic, *Botanical source, ^CO2 extraction. 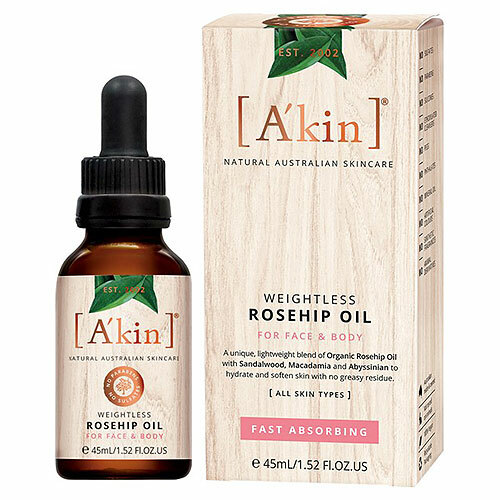 Below are reviews of A kin Weightless Organic Rosehip Oil For Face & Body - 45ml by bodykind customers. If you have tried this product we'd love to hear what you think so please leave a review.